seo - Archive - If you are struggling to achieve high search engine ranking results on Google and the other major search engines it is highly likely that your website has never been correctly optimised for the keywords that you wish to target. This video explains the key factors that you need to get right in order to rank highly on Google and offers a great introduction into the benefits of search engine optimisation. So, if you have ever wondered exactly how does SEO work then check out this useful SEO video right now! For further information please visit our Search Engine Optimisation page. You may also wish to visit our SEO Analysis Report page and download our FREE report that will rate how well optimised your site currently is. If you found this video helpful please feel free to share via your social media profiles. Although this very interesting article does seem to suggest that Google is attempting to kill SEO, I doubt if this is the end of Search Engine Optimisation as we know it! There are a number of tried and proven SEO processes that are absolutely essential to achieving high search engine ranking results for your website and it would be difficult to imagine how these could be replaced by Google with alternative metrics that would enable them to determine the best websites to rank at the top of their search engine results page. Read on and let me know what you think. Is Googe Trying to Kill SEO? - Entrepreneur Tue, 21 Jun 2016 14:22:18 GMT Google is getting ready for a day in court, after a precedent-setting move by a Florida judge who denied the search engine giant's motion to dismiss a case that could redefine how businesses engage in search engine optimization. Google claims the plaintiff, e-ventures Worldwide LLC, engaged in “search engine manipulation” in order to cause its websites to be ranked higher in Google’s search results, stating that doing so was “bad behavior” that had to be deterred. Consequently, Google summarily de-indexed hundreds of the plaintiff’s websites without review or redress. The de-indexing was not based on algorithmic rules or webmaster guidelines, but rather, subjectively applied based on an anonymous tip from an unnamed third party. The larger question here is chilling to virtually any small business which seeks a higher ranking, since Google’s own definition of search engine manipulation is vague and unpredictable. According to a brief filed by e-ventures’ attorney Alexis Arena at Flaster Greenberg PC, “Under Google’s definition, any website owner that attempts to cause its website to rank higher, in any manner, could be guilty of ‘pure spam’ and blocked from Google’s search results, without explanation or redress.” What Is Search Engine Optimization / SEO 1 “It seemed as though I was personally targeted by Google,” said Jeev Trika, CEO of e-ventures Worldwide. “I would purchase a brand new domain and post nothing more than ‘bye bye world’ and within minutes, Google would de-index that domain too. So, Google’s argument that it was removing websites because they were violating Google webmaster guidelines falls flat. It was not about the website content, it was about targeting the website owner. The fact that Google targets people like this is not something that is consistent with their published policies, or what they tell the public.” The brief notes that “search engine manipulation” includes anything done to a website to make it more visible on Google -- and therefore virtually any business using generally accepted SEO Tactics (or any marketing tactics, for that matter) could be accused of manipulation, giving Google an excuse to de-list a website arbitrarily and outside of its algorithmic process, or as in the case of e-ventures Worldwide, de-index all of a website owner’s properties summarily. Should Google prevail, commonly used tactics such as title tags, incorporating keywords in headlines, incorporating legitimate backlinks, or even writing a daily blog would all be suspect. The outcome of this case could dramatically affect how virtually every business in the world does its online marketing. Google is claiming First Amendment rights, stating that it is a publisher and free to publish or not publish anything it sees fit. How Google defines publishing is a bit of a stretch -- they do publish a constantly evolving list of algorithmically-ranked links to websites, but that is by no means the same as operating as a media outlet which exercises editorial discretion. By journalistic definition, a SERP isn’t the same thing as an article -- it’s just a mechanically ranked database. Google’s entire case however, rests on a First Amendment argument. There is an important distinction being brought out in this case that goes far beyond the rights of e-ventures Worldwide, and calls into question the very nature of SEO and digital marketing. In previous cases, the courts have found that Google does indeed have First Amendment protection, but in those cases, the questions related to the rankings of a website, rather than deletion of websites simply because they were affiliated with a person or a company. Previous cases have held that, for example, if someone claims they should be ranked higher in the SERP than Google shows, Google prevails on First Amendment principles. “But, if Google bans 366 websites from all search results because they are affiliated with a particular person or company, then that is a very different thing than anything the courts have addressed previously,” said Alexis Arena, e-ventures Worldwide’s attorney. SEO for startups in under 10 minutes 1 Google did not offer a response to our request for a comment, but they did provide a copy of their most recent June 1 legal filing, which attempted to reinforce their First Amendment claims and argue again for dismissal, again reinforcing its opinion that search engine results are “editorial opinions” and therefore qualify for First Amendment protection. “Before Google refined their algorithm, getting on the first page of search results often could be achieved with tactics like keyword stuffing and artificial linking schemes, but those days are gone,” said Jeev Trika, CEO of e-ventures Worldwide. “Because of changes to Google’s algorithms, Internet entrepreneurs and Web publishers like myself now go the extra mile to provide websites and articles that are relevant, useful, and written to journalistic standards, and that has made the virtual world a better place.” But, says Trika, Google has overstepped its bounds in invoking First Amendment rights to arbitrarily quash websites without review, on the basis of an unsubstantiated third party anonymous tip, and outside the realm of the Google algorithm. “Google’s actions deny businesses the basic right to market themselves in the digital economy,” said Trika. “Google in reality controls the market for Internet advertising, and must be held to a higher standard.” Trika suggests “Google is not drawing a distinction between generally accepted search engine optimization techniques -- such as simply creating and publishing outstanding articles and useful information -- and what they refer to as search engine ‘manipulation.’ SEO is simply engaging in an ever-changing array of tactics to gain recognition -- something businesses have done long before the Internet existed. By Google’s own definition of ‘manipulation,’ any company using header tags or incorporating keywords into headlines could be subject to arbitrary de-indexing.” “Google’s business model isn’t, at the end of the day, providing a free search engine or publishing data, it’s selling advertisements,” said Trika. “The free search engine is merely a vehicle for doing so. Google has an economic reason to deny legitimate Web publishers who are promoting SEO placement in the SERPs so that they can sell more advertisements, but that type of anti-competitive action should not be protected by the First Amendment.” Ever since the first advertisement appeared in the very first newspaper, companies have attempted to use marketing, advertising and public relations tactics to bring more attention to themselves. SEO is merely one more tool in this time-honored commercial tradition. The outcome of this case may well have a lasting effect on how companies move their marketing initiatives into the digital world. Please feel free to comment on this important SEO News Article. To celebrate the launch of our new website we are giving away a free SEO voucher worth £75. So, enter our competition right now and you could win our SEO package, designed to boost your website's search engine ranking results. Check out the details below and good luck! Getonfast is an internet marketing and SEO specialist based in Sleaford, Lincolnshire. Our services our offered to local companies in Sleaford, Lincoln, Nottingham, Leicester, Peterborough, Cambridge and across the UK. Achieving a high search engine ranking result for your website is crucial because search engines deliver the majority of traffic for websites that are ranked on the first few pages of the search results for any given keyword. The following tips will help to improve the online visibility of your site. Choosing the best performing keywords for your website is vitally important. Consider utilising the Google AdWords Keyword Planner Tool to enhance the efficiency of your targeted keywords, from an SEO perspective. By utilising this tool you can search for specific keywords or enter a certain URL to identify the best keywords for your SEO project. Choosing the most efficient keywords will help to improve your search engine ranking results and boost your sales. When aiming to enhance the optimisation of your internet site, always remember to label your images correctly, as these count in the search engine results. Make certain to use image names that your customers may be using to search for your product or service. When selling a specific item, make certain to include relevant keywords for that item in the image name. This will increase the chance that your images may get listed in the Google image search engine results. Developing the link popularity of your website is still a very important part of the Search Engine Optimisation Process. However, structuring your anchor text correctly is also extremely important. Having all of your links using the same or similar anchor text will not appear natural to Google or any of the other major search engines. If the search engines detect an unnatural link building profile, they will simply ignore your links and all of your hard work and effort will have been a waste of time! It is therefore vital that you to mix up your anchor text by including the URL of your website and the brand name of your business, rather than simply focussing on the keyword that you are promoting. You should also consider using Google Analytics to track and gather information about your website visitors habits. This will offer huge quantities of extremely helpful information about the traffic on your website. You will have the ability to see where the viewers of your website have actually originated from, exactly how long they are remaining on your website and exactly what it is that they are doing on your website. We hope that you have found this "what is search engine optimisation" article interesting and informative. Please feel free to share this post with your friends and colleagues. SEO (Search Engine Optimisation) is the process of fine tuning your website in order to improve your search engine ranking results on Google and other major search engines. By utilising various SEO techniques you can help search engines to identify which keywords are relevant to your site, and improve the position of your free listings, when those keywords are entered by a potential customer, searching for the products or services that your provide. It’s a good idea to have at least the Home Page of your website professionally optimised and ideally all of your main product pages should be optimised for a range of unique keyword phrases. So, how exactly can you improve your SEO results? Finding the best performing keywords that are relevant to your business, requires careful Keyword Research. 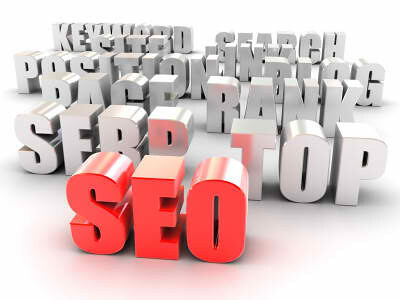 Your chosen keywords should have a reasonable level of search volume on the major search engines. However, you should also try and avoid using really competitive keywords with high search volumes, as these will be more difficult to rank for. What is the average monthly search volume for any given keyword? How many websites compete for those keywords? What is the profile and link popularity of your competition? Is the existing link popularity of your website powerful enough to compete on popular keywords? Where do I position the keywords I wish to target? It is important to recognise that only plain text “typed” words can be understood by search engines. Words that are included within a picture or image won’t be readable to them. Flash animation and video also falls into this category; while being fine for humans to view, search engines won’t see any text within. Your keyword density is a measure of how many times a keyword is used on a specific page of your website. If it’s too low you may not be found against that keyword, and if it’s too high you may be penalised for “spamming”. Keyword density is expressed as a percentage of the keyword based on calculating the total number of all words present on the page. For each keyword or key phrase you use, you should aim for a density of around 4%. Are there any SEO Tips that could offer a short-cut to high listings? Absolutely not! In the old days the use of certain "SEO tricks" may have helped a site’s search engine ranking results. Some of the tricks were simple – using irrelevant keywords to draw in extra traffic, excessive repetition of keywords, white keywords on a white background and so on – while others were more sophisticated. Search engines have been around long enough now to learn about these tricks and using them may get you banned at any time, particularly on leading search engines such as Google. Search Engine Optimisation (SEO) is a complex topic and it can take several months to establish if the changes you have made to your website have helped to improve your SEO results. It is therefore important that you try to get it right first time! To discover and control how search engines rate your website please request your FREE Web Site Analysis Report, right now! We hope that you have found this article explaining how to improve your SEO results useful and informative. Please feel free to comment and share this information with your friends and colleagues. The are many websites that now offer to produce a free website analysis report for your site. They offer this service to companies that want to improve their online presence. The benefits of using a Free Website Analysis Report are varied and this makes them a very important part of the internet marketing process. The quality of these reports and the information provided by the various companies offering this service will vary considerably. Some of these reports are likely to be very basic and others may even provide the wrong information. It is therefore essential that you select a website health check company that has a proven track record in the latest search engine optimisation techniques, in order to obtain reliable information that will provide the best results. Social Media Marketing is now a very important part of the internet marketing process. A good website audit report will provide you with detailed information on how your social networking is crucial to the success of your businesses. They will also provide you with details of your back linking and whether you need to improve on it. Social networking and back linking are very crucial in ensuring that you make the most out of the resources that are your disposal. These two elements have become some of the leading factors in the ranking of websites. A free website analysis report that shows you what aspects you need to improve with regards to these two elements will be very beneficial to you. We hope that you have found this internet marketing article interesting and useful. Please feel free to comment and share this information with your friends and colleagues. If you are searching for the latest internet marketing news or want to read this weeks hot stories from the online marketing world, then our regular Online Internet Marketing Digest feature is for you. Each month we bring you a round up of the most important topics that will help you to develop a successful online business. The folowing is a selection of our hand picked, top Website Promotion and SEO stories for May. SEO (Search Engine Optimisation) is the process of fine tuning your website in order to improve your search engine ranking results on Google and other major search engines. By utilising various SEO techniques you can help search engines to identify which keywords are relevant to your site, and improve the position of your free listings, when those keywords are entered by a potential customer, searching for the products or services that your provide. It’s a good idea to have at least the Home Page of your website professionally optimised and ideally all of your main product pages should be optimised for a range of unique keyword phrases. Your keyword density is a measure of how many times a keyword is used on a specific page of your website. If it’s too low you may not be found against that keyword, and if it’s too high you may be penalised for “spamming”. Keyword density is expressed as a percentage of the keyword based on calculating the total number of all words present on the page. For each keyword or key phrase you use, you should aim for a density of around 4%. Are there any SEO Tips that could offer a short-cut to high listings? Absolutely not! In the old days the use of certain “SEO tricks” may have helped a site’s search engine ranking results. Some of the tricks were simple – using irrelevant keywords to draw in extra traffic, excessive repetition of keywords, white keywords on a white background and so on – while others were more sophisticated. Search engines have been around long enough now to learn about these tricks and using them may get you banned at any time, particularly on leading search engines such as Google. Search Engine Optimisation (SEO) is a complex topic and it can take several months to establish if the changes you have made to your website have helped to improve your SEO results. It is therefore important that you try to get it right first time! To discover and control how search engines rate your website please request your FREE Web Site Analysis Report, right now! We hope that you have found this article explaining how to improve your SEO results useful and informative. Please feel free to comment and share this information with your friends and colleagues.